Pocket-sized, with original two color illustrations by Jason DeAntonis, How to Love shows that when we feel closer to our loved ones, we are also more connected to the world as a whole. With sections on Love vs. Need, Being in Love, Reverence, Intimacy, Children and Family, Reconciling with Parents, and more, How to Love includes meditations you can do alone or with your partner to go deep inside and expand your own capacity to love. Scientific studies indicate that meditation contributes tremendously to well-being, general health, and longevity. 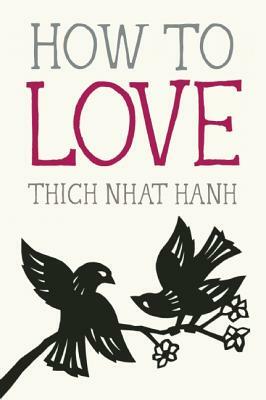 How to Love is a unique gift for those who want a comprehensive yet simple guide to understanding the many different kinds of love, along with meditative practices that can expand the understanding of and capacity for love, appropriate for those practicing in any spiritual tradition, whether seasoned practitioners or new to meditation.